Last month I was in Orkney for the first time. I have never been that far north before. I flew from Glasgow to Kirkwall, the main town, instead of taking the ferry. The weather was gorgeous and we could see all the islands – turquoise water and empty lands…I was already loving it! As a non-driver, I want to share some recommendations of what to see and do. You don’t need a car to explore Orkney and see the main sites. Kirkwall is a great base with very nice hotels in town, giving you the opportunity to walk everywhere. Go to the pub and try one the island’s famous whiskies – Highland Park or Scapa. Explore St. Magnus Cathedral, located on the main street. Known as the ‘Light of the North’, it is one of Orkney’s Viking splendours and definitely worth a visit. 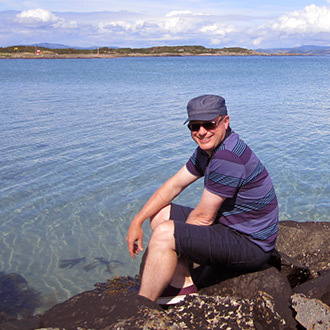 Staying in Kirkwall makes it also very easy to visit other islands. Did you know that Orkney has more than 70 of them? From Kirkwall ferry port you can go to all the northern isles, for example Shapinsay, Westray and Papa Westray. If you have time, I advise going to the isle of Rousay for a day trip, taking the ferry from Tingwall. The visibility was so good that we could see all the other islands around us – even Westray! I discovered from the local guide that Rousay is called the Egypt of the North because of so many neolithic remains, such as Midhowe, with its broch and cairn. No trip to Orkney is complete without at least a visit to Skara Brae and the Ring of Brodgar, both are listed as world heritage sites. At Skara Brae, you can imagine how ancient people were living… and also walk down to the nearby sandy beach. The Ring of Brodgar was for me a completely different experience. A circle of standing stones? I’ve never been interested in such sites, but as it’s one of the most famous and iconic symbols of Orkney’s prehistoric past, I thought it would be a shame not to see it. OK, I take back everything I said! It is a very impressive and spectacular structure! 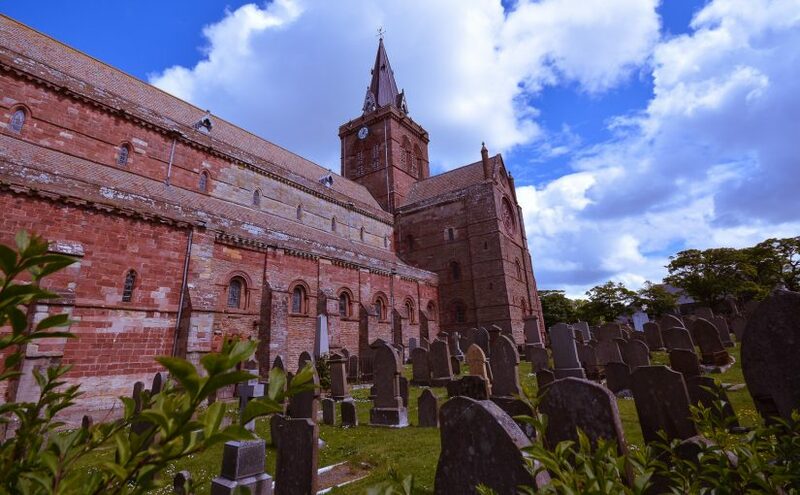 A trip to Orkney is a truly remarkable experience, when you can feel the history and find something unique around every corner.